All Aboard Minnesota is a 501 (c)(3) non-profit education and advocacy group focused on the expansion and development of intercity rail transportation as a part of an balanced transportation system. We are dedicated to the development of fast, comfortable, frequent intercity passenger train services within and beyond Minnesota. There are many ways to make your voice heard, and you will make an impact. 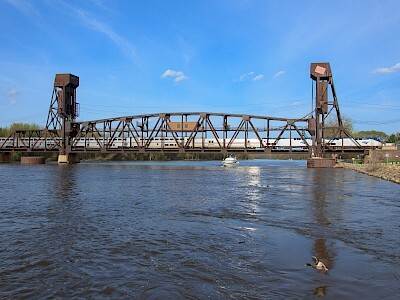 By getting involved, you have the opportunity to influence key decision makers that can make more rail passenger service happen within Minnesota and connect us to the upper midwest. Citizen advocacy groups like All Aboard Minnesota have been successful in other parts of North America to get more rail service, and we will be too! Click here to learn more about how you can get involved and make a difference! 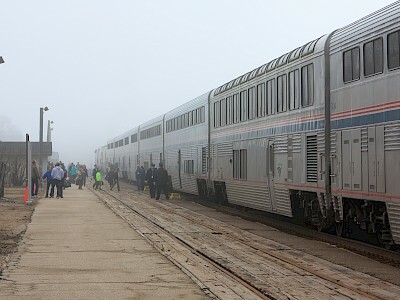 Just before Amtrak was created, Minnesotans enjoyed an entire route system of passenger trains that gave us multiple frequencies on several routes, and connected us to the upper midwest. All Aboard Minnesota has studied which of these routes, and some new routes, might have the best opportunity for success in today's reality. Click here to learn more about the routes we propose and are advocating for. There are many different types of services offered on long distance passenger trains today. This section describes the types of services, accommodations offered, and what to expect on your trip. Click here to learn more. Enjoy your train ride!